Kids Count 1234 did an awesome activity for kids to practice their spelling and addition skills: Scrabble! Kids started out forming two letter words. Then, worked up to four letter words. 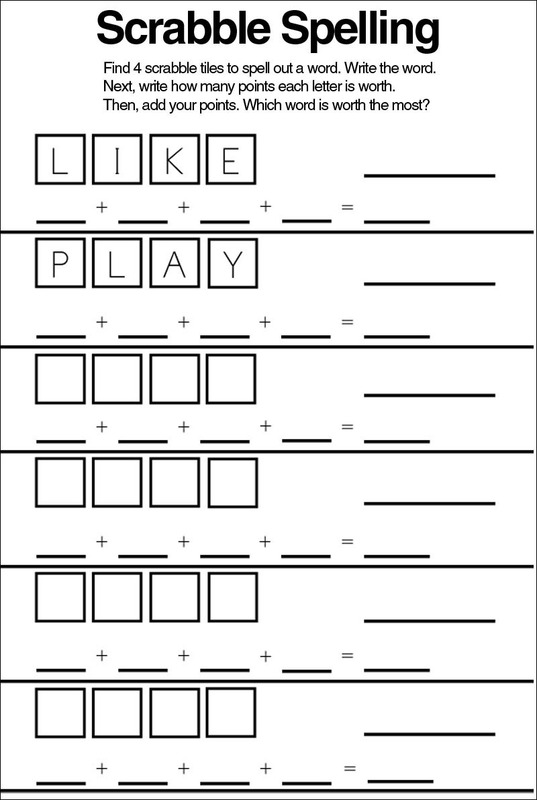 Visit Kids Count 1234 for free printables for this activity, as well as for more innovative math activities!